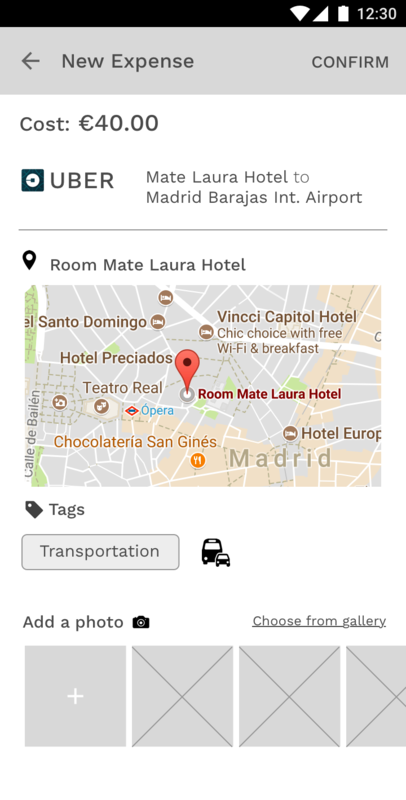 The way people have booked vacations have changed dramatically with the appearance of new apps and on-demand services. We delved into the dynamics of how the younger generation travels with a focus on group trips. 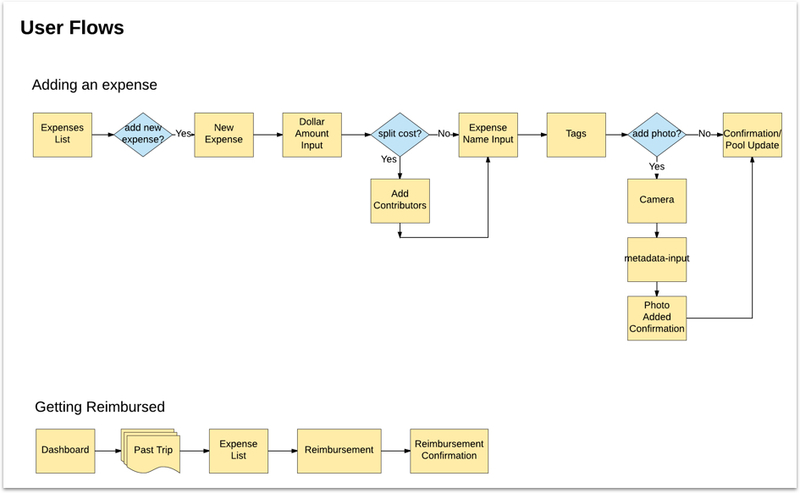 Through our interviews, we found an area that came up consistently was managing expenses in group travel and keeping track of who paid for what. This often became a frustration after the trip if not during, as expenses and payment often would not add up. 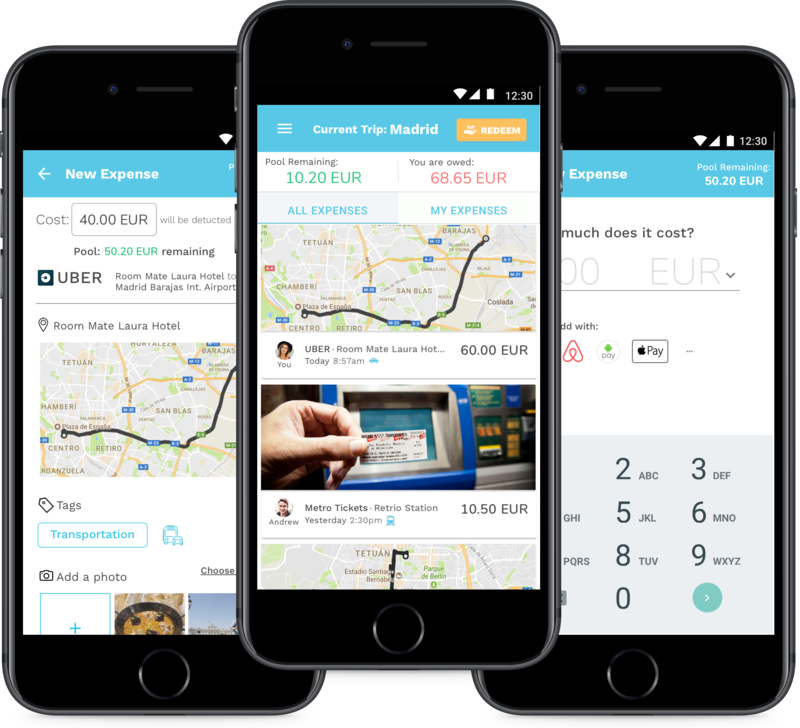 TripPool is a mobile assistant that alleviates the problems of keeping track of group expenses by pre-allocating a money pool and providing on-demand reimbursement. This ensures everyone gets paid back what they are owed, and more importantly, allowing the group to truly enjoy their vacation. Our focus on managing group travel expenses first came from researching how the younger generation books vacations in general. We conducted 5 interviews but soon felt that the scope of our research was too broad. However, we looked at our research and found some patterns that emerged. Many of our participants were traveling in groups and there was usually one main person handling the logistics of the trip. From this, we decided to narrow down our research scope to group-travel only and we conducted another series of interviews after. 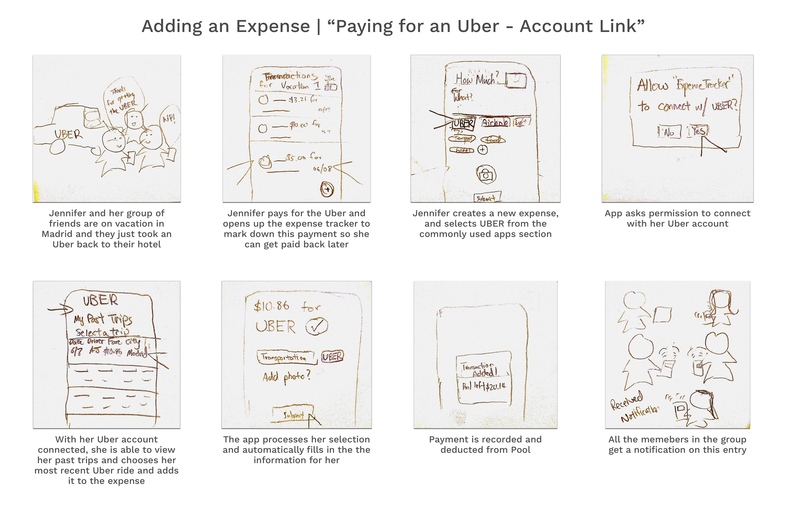 We found that managing expenses would often come up in their stories, and that many people had different ways to keep track of expenses during a trip. Some kept notes on their phone or on a master spreadsheet during the trip, and figured out the expenses afterwards, but sometimes the numbers didn’t add up and was often frustrating to sort out. Another participant’s group had pooled cash together first to use on the trip; however someone had to have the responsibility to hold all the cash, and the expenses can get quite high sometimes making cash inconvenient to use. Regardless of the methodology they chose, we found that having to handle group expenses often interrupted the groups from properly enjoying their vacation. 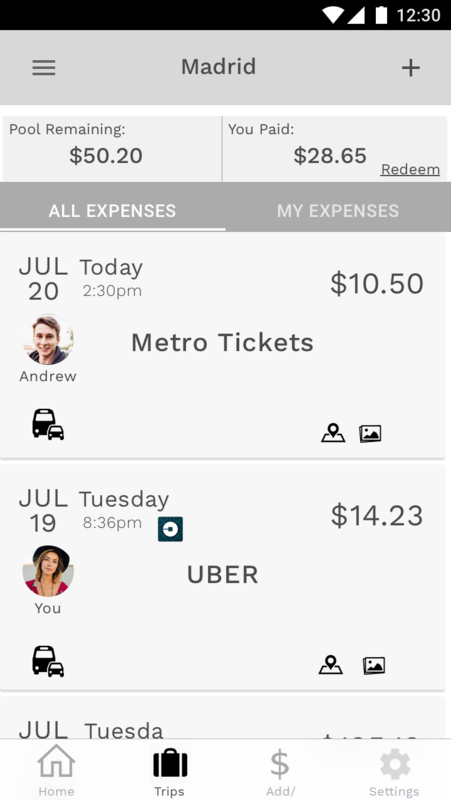 It was hard to split costs during a trip and was very time consuming. We usually calculate everything at the end, but things don’t always add up. 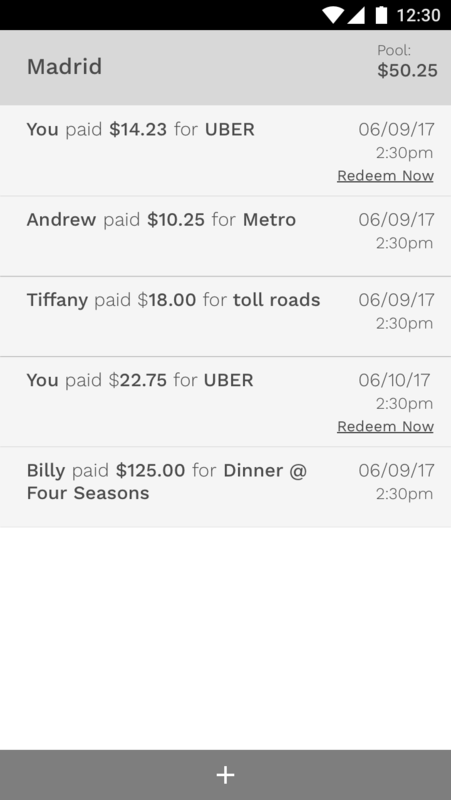 We don’t always remember the details, so I keep notes on my phone to see who paid for what. We have a master spreadsheet on Google Drive to keep track of our expenses. 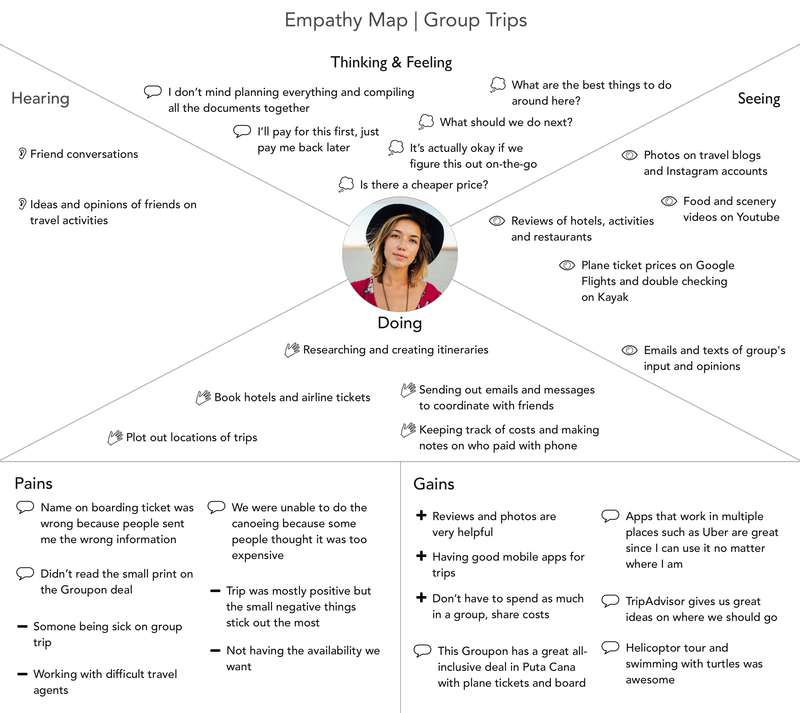 With this key insight, we proceeded to create a persona and an empathy map to understand our users on a deeper level and a potential solution. 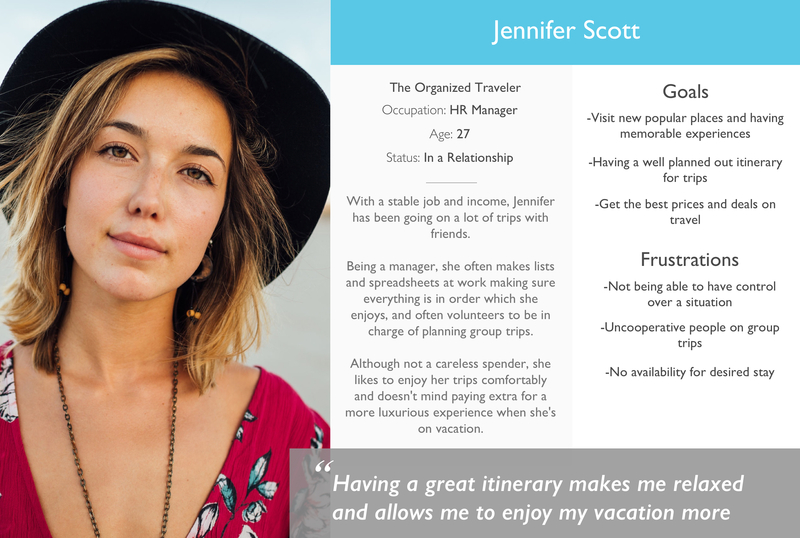 Jennifer Scott is an HR manager who frequently likes to take trips when she can. On group trips, she often volunteers to handle the logistics of the trips. 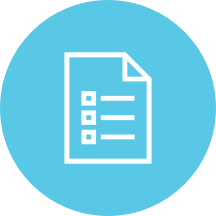 After having a clear picture of what our users were going through, we brainstormed ten “How Might We…” statements, and chose three statements that we thought were the most inspirational and aimed to focus on those. best accommodate a travelers needs? make travel logistics a stress-free experience? 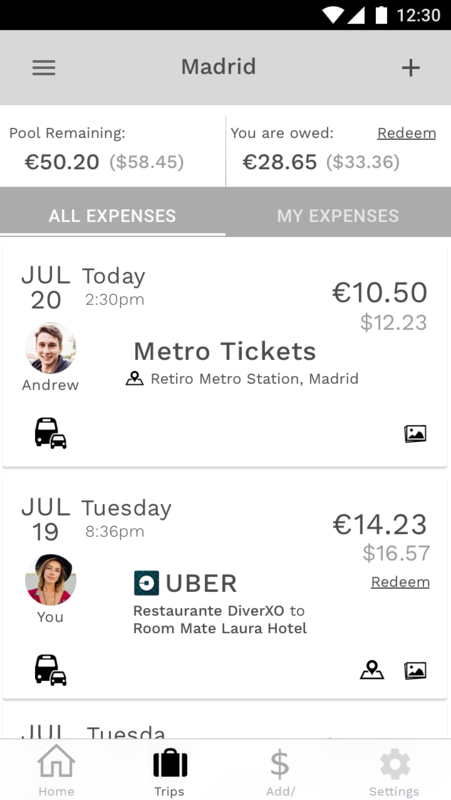 make managing group travel expenses easier and more efficient? We ran a series of Crazy 8s to quickly generate ideas and screens on how we would solve the “How Might We”.. With some inspiration from our research and crazy 8s, our solution started to take shape, a group travel assistant specializing in money reimbursement from a group pool. 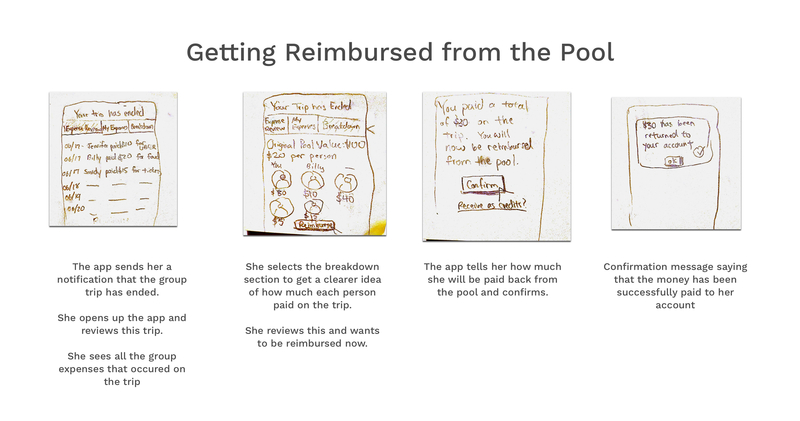 We created storyboards of user journeys using the app including “Paying for an Uber” (a common action that came up in the interviews) and getting reimbursed from the pool which would be a key feature in the app. With a clear idea and solution, we began to solidify our design by creating user flows and wireframes based on our previous storyboards. 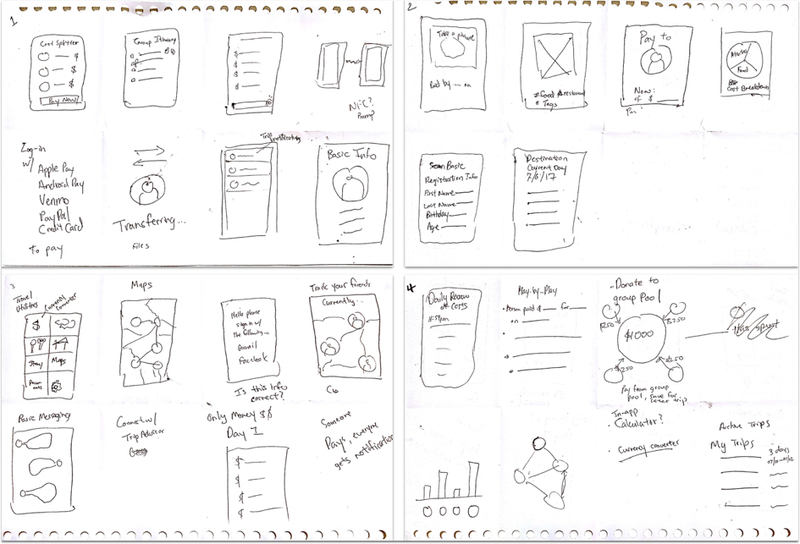 Although we only created wireframes of two user flows, many hours were spent to make sure we got the elements and interactions right. During this phase, there was a lot of back -and-forth between designing and validating. Iteration was key. The plan was to create and test, create and test, while increasing the fidelity as we went. Users did the test on mobile while we observed. All the users were able to complete the task, but many users felt that the expense list was too messy and was confused with having two different currencies displayed (focused on international travel). We got great insight from user testing and began making changes and multiple versions. At this point, there was a lot of back and forth testing, especially with fine tuning the expense list. We continued with user testing and improved upon the fidelity as we became more confident in our designs. There was some alternating between different versions in layout design due to different rounds of user testing, a reminder to us that users are still different and that we need to evaluate what should and shouldn’t change in a design. 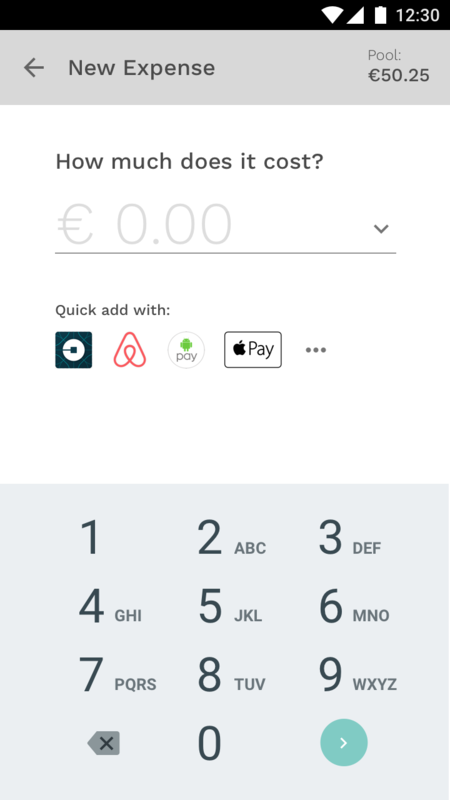 Towards the end of our user-testing and iterations, we had a full-working prototype of the app on a version we were happy with. We polished up the visuals and added a simple branding. 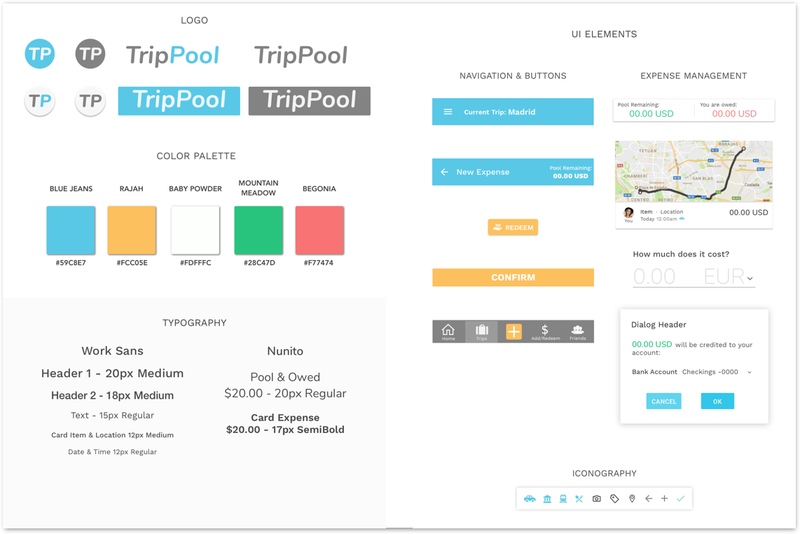 Designing TripPool gave me more confidence in working with the boundaries of the UX process. It is often tempting for me to follow a linear process or moving on only after I feel that I have all the elements right, but with TripPool, I jumped between phases many times when I decided it was necessary, whether its going back and getting more research, fine-tuning the user flow after wireframing, or validating after every iteration. As a result, TripPool evolved into a much more stronger and relevant product. 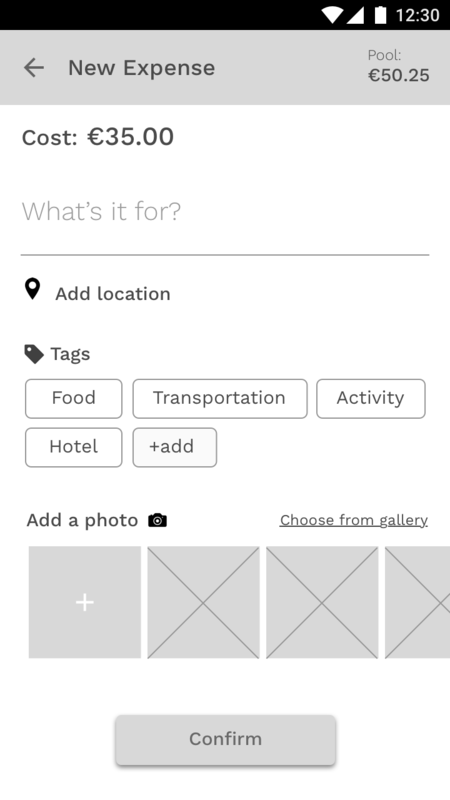 Looking ahead with TripPool, I would create an on-boarding process for users as well as exploring the complexities of adding multiple trips and currencies. Through our user interviews, we found that most people share music through various messaging platforms. I used material design to create a mobile messaging app optimized for sharing music.